"Class of 2006 Gift -- Classroom 382 Renovation"
The Class of 2006 upgrade of Classroom 382 included new furniture, new audio-video equipment and new boards, creating a state of the art classroom. The Class of 2006 Gift was matched dollar for dollar by Mr. David Weinstein, Executive Vice President, Fidelity Investments. 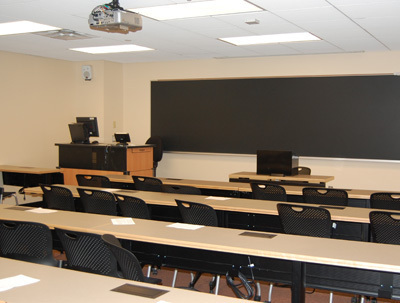 Classroom 382 will be dedicated on the occasion of the 5th reunion of the Class of 2006, Homecoming Weekend, September 24, 2011.